Here we continue where we left off in part two, looking at some more different cross country jumps and how to ride them. 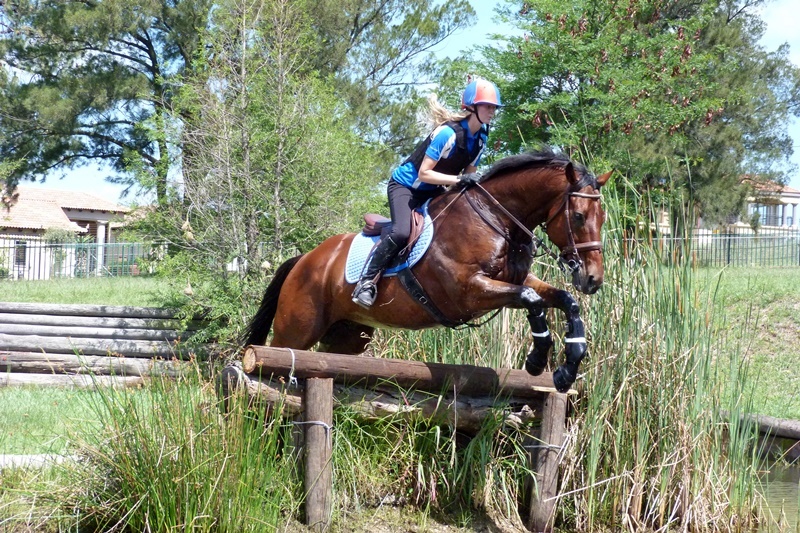 A trakehner is a type of cross country jump consisting of a pole suspended over a ditch. 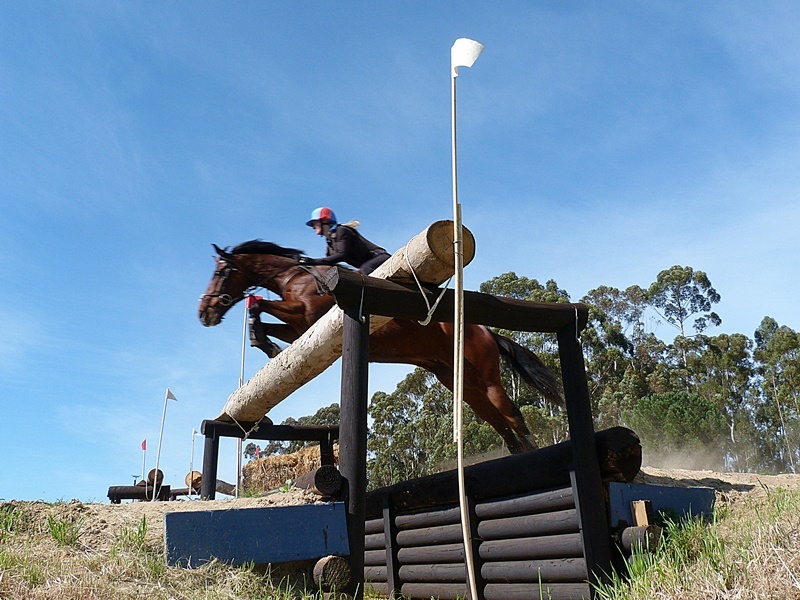 These jumps often prove a huge problem, especially for up and coming eventers, simply because of the intimidating nature of the fence. 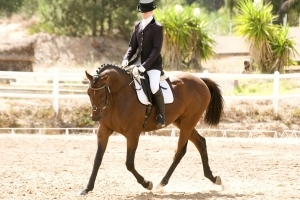 When riding into a trakehner, it is difficult not to think of all the things that could go wrong, like your horse putting a leg in the ditch, or running out to the side and dropping you right into it. The honest truth about trakehners is that they are rider frighteners. They are designed to scare the rider into backing off, and thus causing the horse to run out. 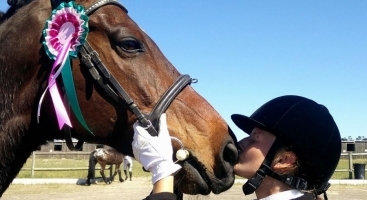 That’s why, as a rider, you should try not to look at the trakehner as a whole, but consider rather what it consists of. Ask yourself this: What is so difficult about the fence? 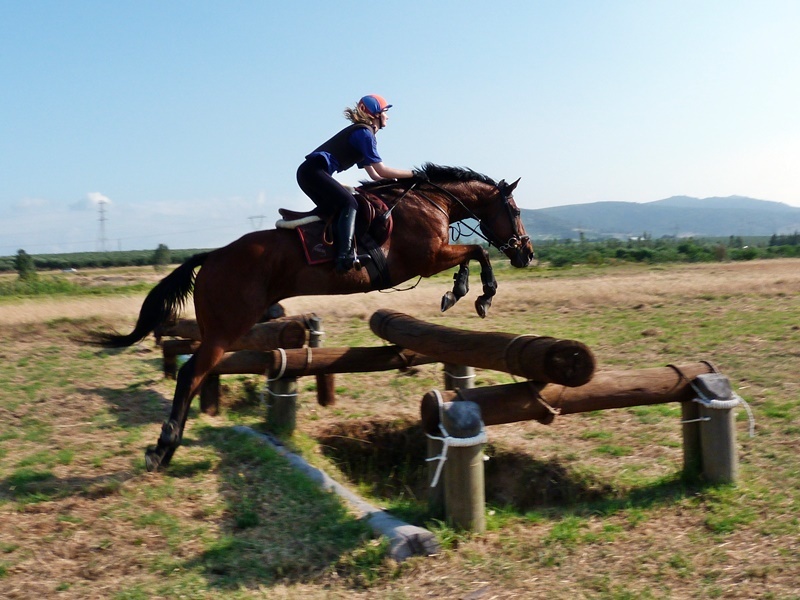 The truth is, a trakehner is just a regular upright, and all the ditch does is provide you with a lovely ground line, thus making the jump easier. 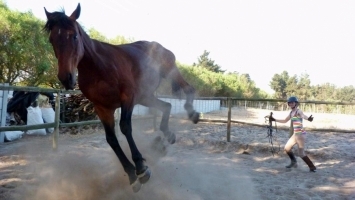 A trakehner is a ridiculously straightforward jump, and should be jumped exactly like a normal showjumping upright. 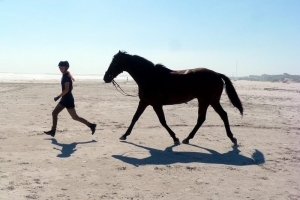 For the bigger, wider trakehners you might want to pick up some more speed and fly them, but the general idea remains the same: if you don’t focus on the ditch, then your horse won’t, either. You are supposed to clear the pole, not the ditch, so focus on that pole and don’t look down. If you look into the ditch, not only do you cause your horse to do the same, but you also pitch your weight forward so that when your horse does look, you topple straight over his head into the ditch. So the golden rule is: shoulders back, eyes up, ride forward, and just take the trakehner in your stride. 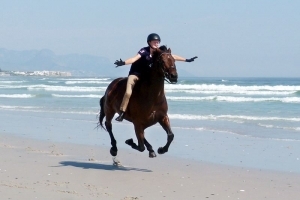 When jumping into water, the rider should ALWAYS be ready for trouble. 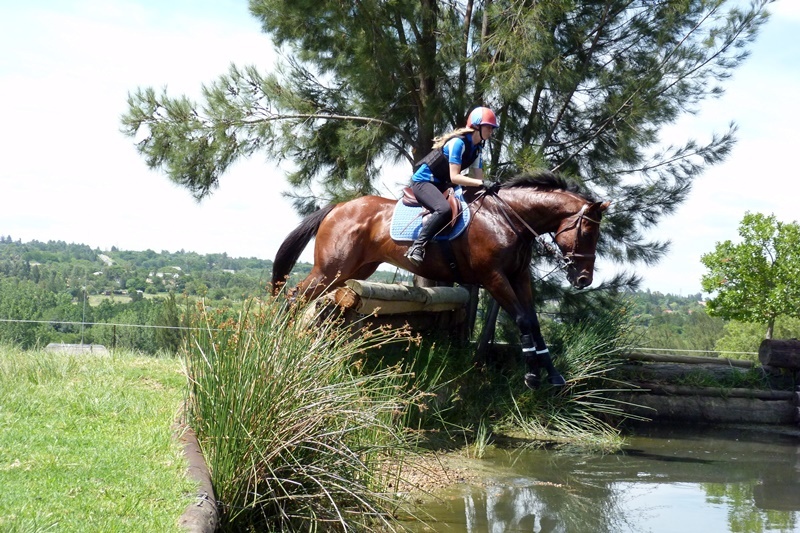 Even an experienced event horse can sometimes surprise you by looking at an unknown water complex. Perhaps it has strange reflections, or maybe the horse just doesn't like the crowds around it? Whatever it is, the rider must be ready to correct any errors. The key for water is to keep your shoulders BACK and your seat deep. 9 out of 10 falls at the water happen because the rider’s weight is forward, so when the horse hesitates, the rider just keeps going. 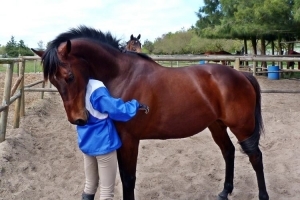 Deep water will often ruin a horse’s momentum, so as a rider you must have your weight back and your seat secure to be ready to compensate for this. 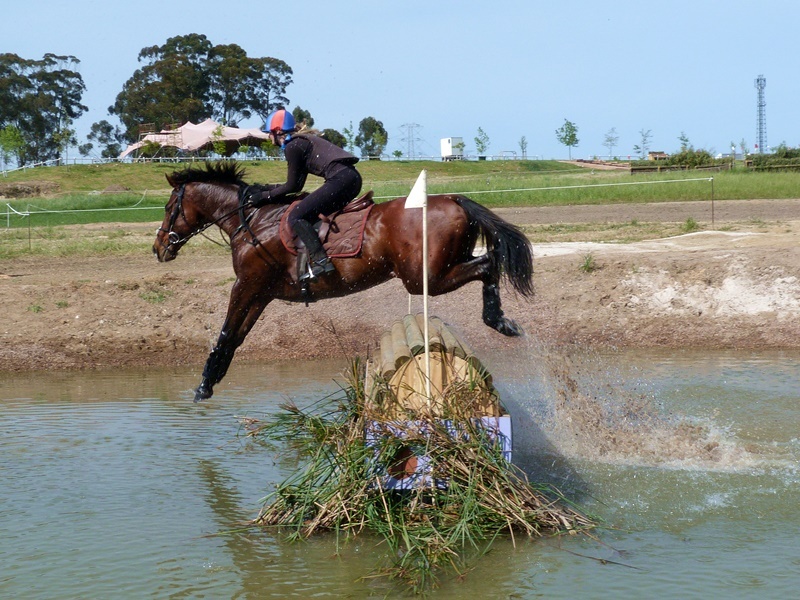 When jumping into water, no matter what the jump, you should always ride it like a big oxer. Horses will often back off going into water, so if you under-ride, you will have a stop. However, if you over-ride, you could have a fall. Think about taking on a big, 4ft+ oxer. 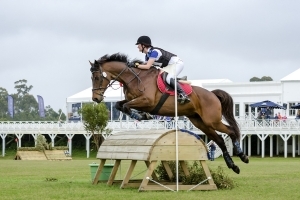 You want a big, powerful canter – with enough forward momentum to clear the jump, but enough collection to place carefully and get a quality jump. This is the feeling you want coming into the water. That way, if your horse backs off, you have enough power built up to correct him and still clear the fence. You also want to keep your seat close to the saddle and your weight back to solidify your balance. Never underestimate a water complex. Even the simplest ones can prove problematic at times. This covers some of the more complex jump types. Most of the others are relatively straightforward rides, often made tricky by placement, lighting, terrain or simply size and spookiness. As a rider, you must be prepared for whatever is to come. Think fast, and give your horse courage. As far as cross country know-how goes, I hope that these articles may prove useful to you out on course! Thanks Polo for the great CC series and stunning photos!